Well, David Hogg (yeah, remember him) is back at it again. This time forgetting whom his audience was at a premiere for Michael Moore’s latest film Fahrenheit 11/9, which deals with the 2016 election. He, along with Cameron Kasky and Emma Gonzalez, formed the Parkland Three, an anti-gun activist wing that was started after the tragic shooting at their high school, Marjory Stoneman Douglas, which left 17 people dead. It placed the National Rifle Association in the crosshairs—again. CNN held a town hall event with the students and surrounding community, which was more of a kangaroo court for liberals to bash gun owners, NRA members conservatives, Republicans, and rural America—pretty much half the country. Since then, other news has taken precedent, but they scored some legislative wins, with Florida increasing the age to purchase firearms to 21. Vermont did the same thing—and both states have pro-NRA governors. It’s also a grossly unconstitutional provision. Other localities in blue America, like Deerfield Illinois and Boulder Colorado, passed ordinances banning so-called assault weapons (i.e. the widely owned and circulated AR-15 rifle). "I have a question for you guys: Who's ready to save America? 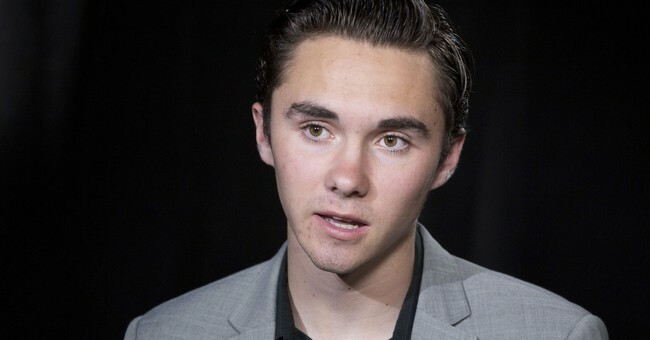 Who's ready to make America the country we say it is on paper and make it the actual country that it wants to be?," Hogg asked the Canadian crowd. "I think the most important thing to realize, however, is the problems we face as a country, whether it be water in Flint, Michigan or the amount of mass incarceration of people of color that can't vote." "In Florida, the number of African-Americans who can't vote because of a previous conviction is 21%. In Kentucky, it is 26%. In Alabama, it is 15-16%. These are people of color who have been historically discriminated against and still are to this day." "Turn that shame into your vote!" Hogg said, waiting a moment before adding: "If you're not Canadian." "I think Canadians can donate to political campaigns in the U.S.? They can't? Well, uhh, vote here. Learn from us, don't let this happen here. We'll need to come to you guys if we stay on this track." Fahrenheit 11/9 deals with the Trump era, and how liberals hope they can boot Trump. Moore had the same mindset with the Bush administration for 2004’s Fahrenheit 9/11. Bush won re-election, handily beating then-Sen. John Kerry (D-MA).